Rock ‘n’ roll legend Neil Young together with Imagine Dragons and Mumford & Sons will headline this year’s BottleRock festival May 24-26 at Napa Valley Expo. Dave Graham, CEO of Latitude 38 Entertainment, said that the Napa festival was definitely honoring rock this year. “It’s the way that it fell. We’re always going to have more rock bands in our festival than any festival out there. We’re happy with where things landed; we’re feeling good about it,” Graham said. That said, “There is some serious hip-hop and EDM (electronic dance music) in there,” he said. Headliners on the festival’s second main stage are Logic, Pharrell Williams and Santana. Other acts topping the festival lineup include Gary Clark, Jr., OneRepublic, Nathaniel Rateliff and the Night Sweats, Juanes, Chevy Metal (Foo Fighter Taylor Hawkins’ side band), Flogging Molly, Lord Huron, Michael Franti & Spearhead, Vintage Trouble and more than 60 others. This is the first year that BottleRock will host a repeat headliner, Imagine Dragons. “We had no hesitancy going back to Imagine Dragons,” Graham said. “As good as the band was and as big as the band was when they played BottleRock in 2015, they’ve become huge since then. The number of new hits that they’ve created has exploded. “They were the largest streamed band on the planet in 2018, and they’ve really come into their own from a live performance standpoint,” he said. 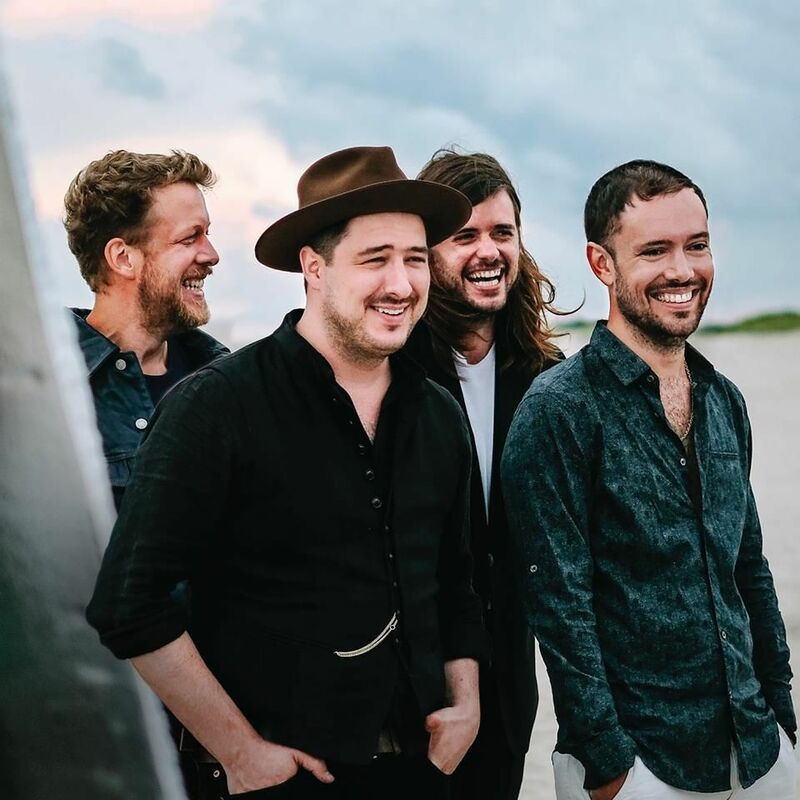 Mumford & Sons sits atop a small group of the world’s elite folk rockers. BottleRock has been hoping to book them for years. “Not to discount any other bands that we’ve had at BottleRock, but we can’t think of a better fit,” the festival executive said. Pharrell Williams is a multi-talented performer and producer, an 11-time Grammy winner, a six-time Music Award winner, a six-time Billboard Music Award winner and a two-time Oscar nominee. Logic, with multiple Grammy and iHeartRadio nominations and a win at the 2018 BMI Pop Awards, will head up a cluster of popular hip-hop artists at the festival, including Big Boy, Too Short and Cypress Hill. -- Three-day passes for VIP and Platinum are sold out. -- Remaining three-day passes on sale Tuesday, Jan. 8, at 10 a.m. PST. -- See BottleRockNapaValley.com for passes, single-day pricing announcements and further festival details.